Woody the cowboy is Andy's favorite toy and the undisputed leader of all the toys in his playroom. One day, however, his world is shaken when Andy receives a Buzz Lightyear action figure for his birthday. Buzz is bombastic and high-tech, and he believes that he is a real astronaut superhero. 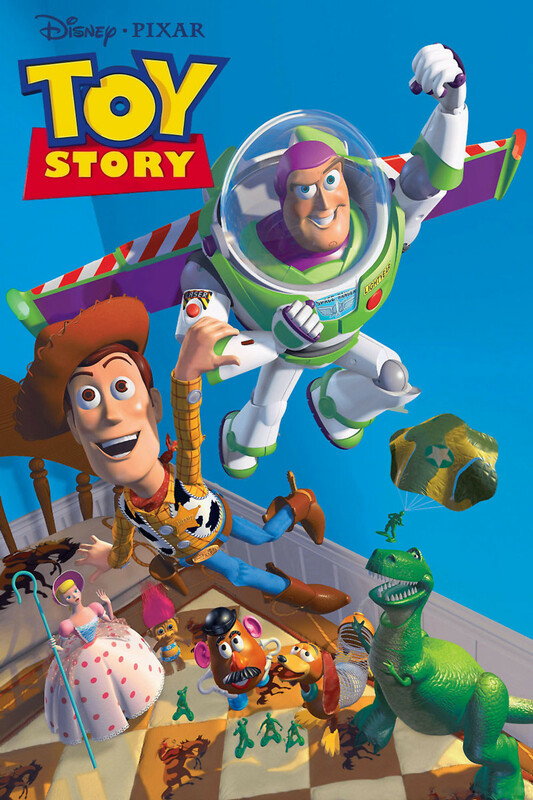 Woody finds him deluded and overbearing, but mostly he is jealous because he fears that Andy now likes Buzz better. Shortly before Andy is set to move to a new house with his mom and sister, Woody is responsible for knocking Buzz out a window. The other toys are disgusted, and Woody embarks on a journey to retrieve Buzz in time for the big move. In the process, the two rivals will become friends.